Jurgen Dignef: (…) that was the most interesting prize I’ve ever won! During the summer of 2018 two of my main interests met each other: my passion for travelling and the fact that I’m learning Polish since two years. Just like I did when I was learningItalian, I’m trying to read about Poland, I’m watching Polish movies, I’m listening Polish music and I’m trying to go there from time to time. But since Belgium and the city I live in have a huge Polish community, I don’t even always have to travel to Poland to fulfill my needs. 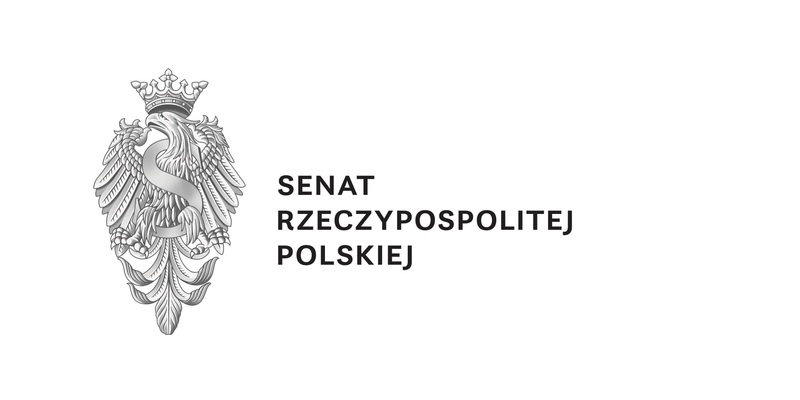 At the end of July a Facebook page dedicated to General Maczek caught my eye. 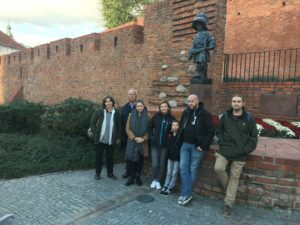 I didn’t know who the man was, but the Facebook page invited me to discover it by visiting one of the cities or memorial places dedicated to him and to win a city-trip to Warsaw by visiting one of these places. 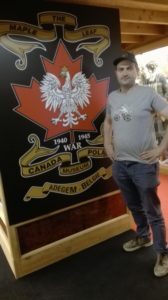 I made the choice to immediately go to the museum dedicated to the Polish and Canadian troops in Maldegem. It gave me the possibility to make the pictures needed to take part in the contest and to discover the story of Maczek. I was both surprised by what I learned and by the quality of the museum, which is run privately. 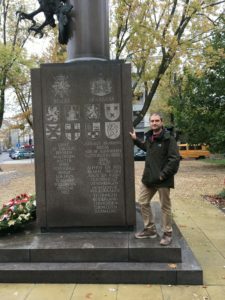 Later when I visited Warsaw, it turned out that not even many Poles know about him, because it was forbidden to talk about him during the Communist years. The reason for that is that during the Second World War he cooperated with British and Canadian troops to liberate Flanders. The visit to Maldegem turned out to not only be rewarding for broadening my knowledge about General Maczek but it made me win the prize too! It was not the first time I won a contest linked to travelling, but it must for sure have been the most interesting prize I have ever won. Because I would get on the plane with five complete strangers that I never met before and I would visit Warsaw together with them, not really knowing what to expect. Moreover, I was the only Belgian person in the group, only linked to them by the fact that I’m in the process of learning Polish. When I arrived at the airport, the other members of the group turned to be passionates about war history. 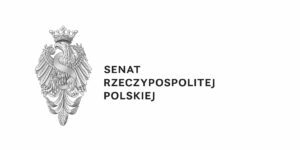 In our team we also had one young Biomedics student with Polish roots and one Polish teenager who dreams about working in Poland and who would like to refind his roots there. No need to mention that the whole weekend was one massive listening exercise for me. One that didn’t discourage me moreover, because when listening into the conversations, I could often understand the main topic they were talking about, without really understanding the details though. When I’m usually making a city-trip, I visit lots of places and I’m probably more busy than on normal working days and more tired at the end of the day. For this city-trip it was totally different: from the very beginning I have looked at it as a very unique experience, rather than a sightseeing tour. And it truly has been. Apart from visiting Poland in the presence of Polish people, I have had the opportunity to visit a pub that’s known for the many Polish prominent people that come there, I have been having coffee and sernik (cheese cake) with a famous Polish journalist and writer and I was interviewed by TV Polonia and broadcasted later that week on the Polish television. Not to mention that I ended the weekend in the restaurant of a famous television cook, where I had barszcz that tasted like velvet, with little raspberries floating in it. To conclude: my weekend was a blast! 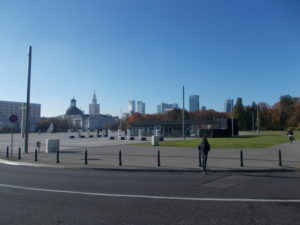 Nevertheless I don’t have the feeling that I have already visited all the interesting stuff that I wanted to visited in Warsaw. We visited the Palace of Culture & Science, the Warsaw Uprising Museum & the Copernicus Science Center, we walked through the old Jewish Ghetto and the Old Town, but because I have a very good travel guide about Warsaw, I know there’s still much more to discover with the Wilanów Palace, the Łazienki park, the National museum and several interesting cemeteries, not to mention places outside of Warsaw that can be visited as day trips from Warsaw.